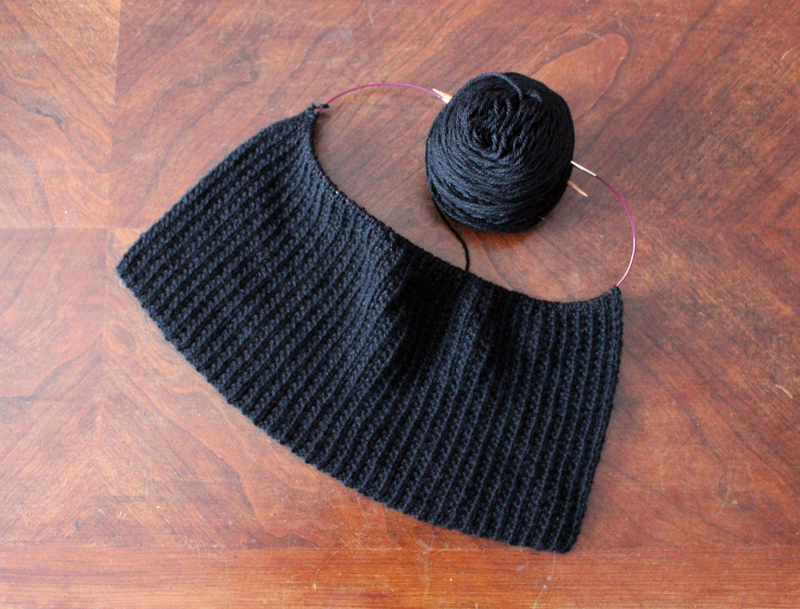 I’ve wanted to add�a basic knitted black vest to my wardrobe for awhile. As well as I feel I deserve a little something for myself with all the hard work of starting my own business. This vest is designed by the same designer as the Messy Bun Hats in my previous 2 posts – Lena Skvagarson. It’s call Passionista Vest. I love the construction, simple and elegant in a modified type of ribbing. I’ve had to train myself to not get into auto pilot and knit a typical double rib because that would mess everything up. I also decided again like with the hats to purchase the yarn suggested by the designer which is Berroco Vintage DK in black.